As a music writer, I have met a lot of local Hip Hop artists, producers and DJs and during our conversations, one name that comes up frequently would be that of CVMA nominee Paul Gore, AKA DJ Smoke 1. 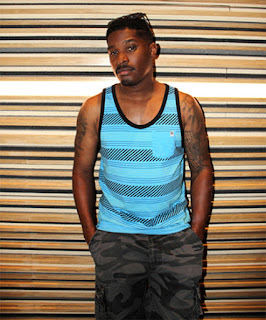 The Coachella Valley native is well respected for his skills as a producer and DJ. He is also known for being a smart, kind, family man who carries himself with class and professionalism. His calm demeanor and humble nature may fool some people into thinking that he is a musical passivist, but on the contrary, when it comes down to battling, the title winning, Smoke 1 is a force to be reckoned with. His style is fresh and original and his skills are well defined. He is also one of only a handful of local DJs that has master of the dying art of spinning and mixing vinyl records.